The result of failed erosion control during construction of the Mountain Valley Pipeline in Virginia. Photo courtesy of Mountain Valley Watch. Environmental groups and pipeline opponents have had much to celebrate over the past two weeks. Last Friday evening, Dominion Energy’s Atlantic Coast Pipeline was ordered to halt construction along its entire 600-mile route. The stop work order from the Federal Energy Regulatory Commission came four days after the U.S. Court of Appeals for the Fourth Circuit overturned two federal permits for the pipeline. The week prior, FERC issued a stop work order for the Mountain Valley Pipeline to halt all construction along its 300-mile route through West Virginia and Virginia, after the same court ruled in favor of environmental groups and vacated two permits that the pipeline needed to cross a national forest. In just two weeks’ time, both destructive interstate pipelines have been halted after lawsuits exposed how rushed and flawed their approval processes were. FERC’s order to halt construction of the Atlantic Coast Pipeline followed the Fourth Circuit Court’s decision to overturn two permits issued by the National Park Service and U.S. Fish and Wildlife Service because they did not follow agency guidelines; one set limits on the destruction of habitat for species listed as threatened or endangered under the Endangered Species Act and the other would have allowed the pipeline to cross the Blue Ridge Parkway. The two vacated permits for the Mountain Valley Pipeline were originally granted by the Bureau of Land Management and the U.S. Forest Service to allow the pipeline to run 3.6-miles through the Jefferson National Forest. 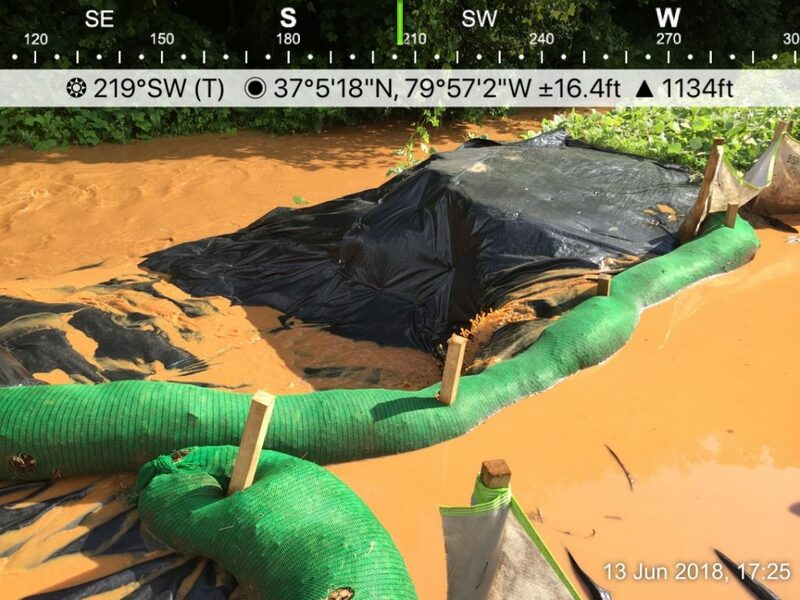 The court rightly vacated these permits at the end of July in part because it wasn’t clear that Mountain Valley Pipeline’s erosion and sedimentation controls would prevent runoff from harming water bodies and supplies, including private wells. The two agencies now must review the decisions to determine whether the Mountain Valley Pipeline can safely cross the Jefferson National Forest along the originally proposed route. If not, the pipeline may be forced to reroute around the forest. The Fourth Circuit’s rulings and the subsequent work stoppages are tremendous victories against both the Mountain Valley Pipeline and the Atlantic Coast Pipeline. Together, these court decisions confirm what pipeline opponents have argued all along: that pipeline developers and permitting agencies rushed through this process without accounting for all environmental impacts, and that pipelines this large simply cannot be built across this delicate landscape in a way that protects water, ecosystems and communities. Every year, Appalachian Voices is fortunate to assemble a phenomenal team of rockstar interns from numerous Appalachian and East Coast universities. Enjoy these posts from our interns.